Known by its 45 Kasbahs, Nkob is a treat to visit and to witness the Moroccan south architecture. These Kasbahs are made of mud to protect against the harsh cold winters and other dangers, providing a safe sleep in Nkob. Check our planned excursions and tours starting in Nkob and around the region. We offer you well-thought out tours in the region and you can count on us to have the best experiences on your vacation. You will enjoy the Berber hospitality, the unforgettable sights and amazing views. Explore N’kob and its beautiful surroundings. N’kob sits between the Valley of Ziz and the Drâa, on the road that crosses the Dades Valley, Toudgha Valley and ends in the Sahara Desert. This region has a variety of live, authentic and unspoiled wonders. Even the landscapes can change from the unique Saghrou Mountains to the Canyon of Todgha, from the Valley of Roses to the pre-Saharan arid plateaux. If you are planning to stay in the region, check our prices for Hotel in the Zagora Region. Our Hotel Kasbah Nkob is north of Zagora, the capital of the province. Zagora has a famous landmark saying “Timbuktu 52 days”. Timbuktu was a very important merchant town and learning center, connecting the various African empires around the Sahara. “Timbuktu 52 days” means that, either on camel or by foot, it should take you 52 days to reach this town in Mali. By staying in our Hotel in Nkob, you can quickly organize a journey to many incredible sights in the region. Choose either to stay at Auberge Nkob or stay at the Kasbah Hotel and enjoy your time with us in Nkob. Saghrou Mountains were the birth place of an important tribe called Aït Atta, that stood against the French occupation. Many battles were fought at the steps of the Saghrou Mountains in what are considered the last stronghold against the entire French front in Bougafer. You can either go for a Camel Trek or with donkeys to discover the beautiful landscapes that the Saghrou Mountains have to offer to the visitors of Nkob. 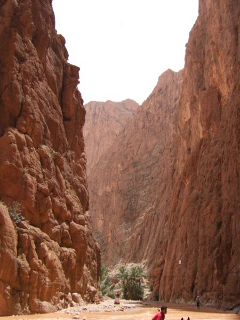 East of the High Atlas, carved deep, is the Todgha Canyon. For all its 40km (25miles), the high cliff canyon serpents through and leads to a spectacular end with narrow tracks and high walls up to 300m (984ft). Many routes in and around the Todgha Gorge have been highly classified and its surfaces are very interesting and popular to rock climbers that come here from all over the world. At the edge of the desert plateaux, this Berber village served as a meeting point for nomads crossing the summer pastures in the High Atlas to the Saghrou in the winter. It offers a great view over the region atop its 1500m (4920ft) on the Dades Valley. 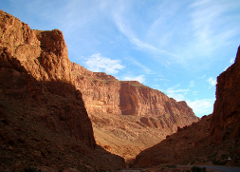 The Ziz Valley is one of the most impressive canyons in the Zagora region. Sitting near Merzouga, the Ziz Valley is the ideal spot for magnificent views and adventures. You can enjoy it the most with the help of a guide, so take this opportunity to rent a car with a guide in Ouarzazate, in Zagora or leave everything to us. 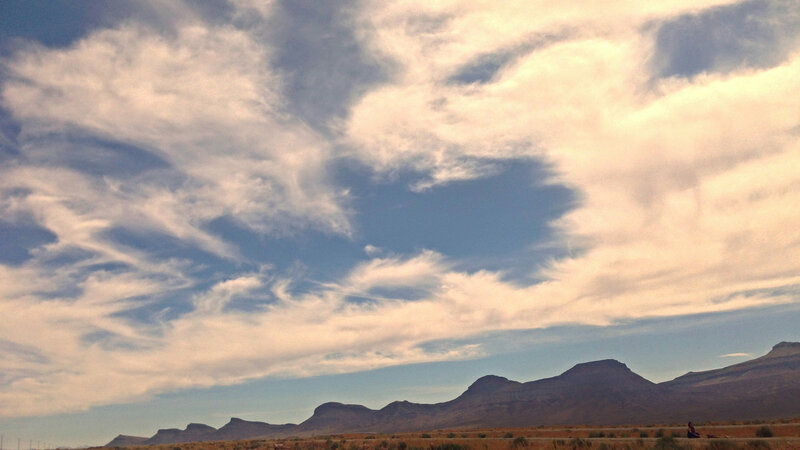 We promise that you will have a great time touring the valley and a wonderful night in Nkob. The roads that lead to the Ziz Valley have been of great interest to people that are looking for a great adventure. 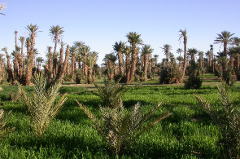 If you are passing through Nkob, either coming from a hotel in Ouarzazate and going to sleep in the desert, or heading back home, your best chance to visit the region is with us. There are a few oases great for trekking. With the help of a guide, you can learn about the traditions of the Berber tribes and the production of the dates that you see all around the world, specially in Marrakech. 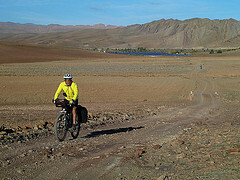 Goulmima is a lovely village with a beautiful oasis filled by the rains from the High Atlas. This living Ksar, meaning a fortified village, is very similar to the Ait ben Haddou, near Ouarzazate. 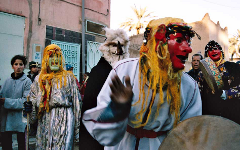 In Goulmina there is a very interesting festival from the judeo-berber traditions in the region, that dates back to the babylonian jewish customs. Young and old, and even children, disguise themselves and parade through the village, converging in the main square. The parade turns into a modern agora, where people speak freely about the community issues and demand their Berber rights. There are several fortified villages are scattered around the region, reminiscent of the old days. These are slowly being rebuilt and turned into hotels and attractions. Most of them are strong proponents of eco-turism, preserving the invaluable cultural heritage sites and providing sustainable development for the community, just like we do it here in our Hotel Ennakhile. Around the Ksar, the oasis is the base for the daily life of the Berber tribes and with the local music and gastronomy, it is a refreshing surprise and retreat from the hot days in the desert. You will find the same hospitality and comfort in our hotel and you can savour the very best of Nkob gastronomy and traditional Moroccan food in our restaurant. Once a upon a time, a boy and a girl from rival tribes were deeply in love with each other. Like in so many other tales, their love was forbidden. They secretly met and together cried for the love they had for each other. It is said that the girl’s tears created the Lake Tislit and the boy’s tears created the Lake Isli, named after them. Some say the Festival Imilchil Moussem, held near both lakes, is in honour of these star-crossed lovers. The beautiful lake Aoua has two other lakes nearby. All three lakes create one of the most peaceful sceneries around the High Atlas, and it is the best place to have a great day trekking in South Morocco. North of Nkob, on the other side of the mountains, a valley filled with an intense and delicious perfume extends to the village of El Kelaa M’gouna. The extraordinary scent comes from the thousands roses in the valley, thus “Valley of the Roses”. In the small town, you can buy rose water, body and hand soaps, dried roses and flowers as well as many other beauty products manufactured locally. Along the road, you will find Berber girls selling beautiful rose crowns and garlands. 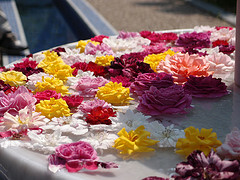 The high point in the region is the Rose Festival, where people from all around come to celebrate the crops. There is plenty of traditional music, delicious food and dancing. It is held during May, so that is the best time to stay in our hotel in Nkob and then head on to the Roses Valley. The scented valley is one of the best places for trekking or just for short walks around its small town. The fragranced fresh air is always a great invitation for a hike in the mountains. There is a particularly interesting story for the origins of the roses in this valley. It is told that in the tenth century, pilgrims returned from Mecca and brought back with them the Rosa Damascena, that now colours this valley of the roses.